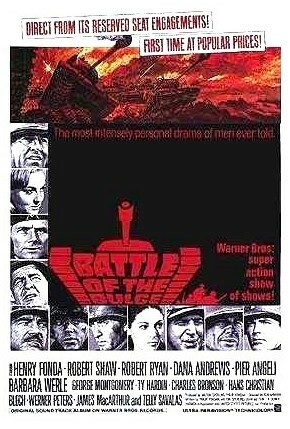 Like so many combat movies of the era, the storyline was built around a handful of notable characters, some mere enlisted men, some NCOs, some field-grade officers, each grappling with the turn of events in their own unique ways. Two that stand out in my memory are the young , rather clueless battlefield rookie, Lieutenant Weaver, played by James MacArthur, and his devoted, battle-hardened NCO, Sergeant Duquesne, played by George Montgomery. As events unfold, the streetwise Duquesne repeatedly advises young Weaver to “hang loose” —not only to be mindful of the passing scene but also to capitalize on every opportunity — advice that proved immensely helpful to Weaver following his subsequent capture and near murder by the German SS at Malmedy. It goes without saying that this advice applies as readily to Extension educators in the early 21st century. It behooves us to hang loose — not only to be mindful of what’s happening but also to capitalize on every opportunity. After all, we are living and working in a brave new world, one that would seem exceedingly strange to our professional forebears, whose outreach efforts were initially carried out through face-to-face encounters with clients and, later in our history, through print and broadcast media. Perhaps nowhere are the complexities of this new world better reflected than in the frazzled boundaries between old and new— the old standbys, newspaper, television and radio, and the new media, commonly known as social media. As these boundaries become more frayed with each passing day, we’re being called upon to think and act radically differently. 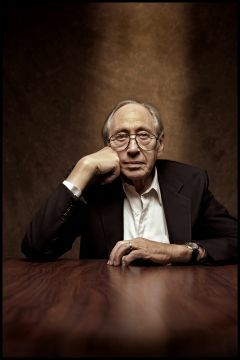 The futurist Alvin Toffler saw this coming 30 years ago. In Third Wave, he foretold the decline of conventional mass media and their replacement by demassified media, which turned out to be the Worldwide Web. Toffler even predicted that all media, including what still passes as print and broadcast media, eventually would emanate from a device he rather archaically described way back then as a video display terminal (or VDT). While he didn’t get everything right, he was spot on with one prediction: that everything would become demassified, including conventional media. For a time, my advice would have been to adopt a Hospice approach with so-called old media — in other words, to continue serving conventional media for as long as they endured. Then the thought occurred to me: there is no mass media. Everything is now demassified. There are no new and old media, only elements comprising a sprawling, flat information landscape in which everyone participates equally. Our diverse audiences have been empowered in ways never before imagined. Moreover, what we once thought of as a single Extension audience is now a multitude of microaudiences who are still open to our products but only so long as they are delivered as optimally and conveniently as possible. This new fact of life is challenging us to look at media delivery in radically different ways. Our challenge today isn’t choosing between old and new media but in combining all of them in ways that ensure our products are delivered in the fastest, most optimal ways possible. Indeed, that is the standard by which all of our outreach efforts must be measured in the future: whether they are delivered in the fastest, most optimal ways possible. For that matter, these products no longer will be “our” products in the older, 20th century understanding of the term — quite the contrary, they will be developed collaboratively with our diverse audiences. The important thing to remember is that there are no hard and fast rules in this new information order. We will learn and improvise along the way. Delivering our outreach products in the fastest and most optimal ways will call on us to be flexible — flexible in ways that earlier generations of Extension educators scarcely could have imagined. We must heed Sgt. Duquense’s advice. We must learn to hang loose — to be mindful of any and every possibility and to capitalize on them.